Tectia Server provides the Secure Shell server features and tools. 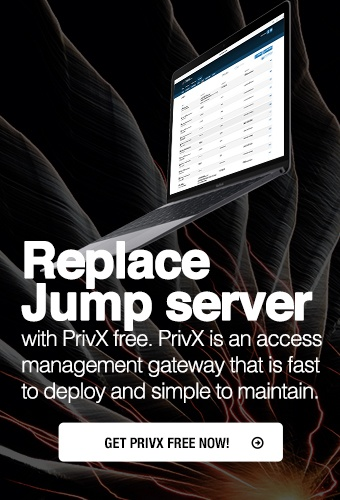 It enables secure file transfers, secure application connectivity, and secure remote administration services over unsecured networks. Tectia Server is a robust, flexible, and field-tested server implementation of the Secure Shell protocol. Its technology has been the choice of numerous large corporations, banks, financial organizations, and governments around the world. Tectia Server provides strong user authentication, traffic encryption/decryption, traffic integrity checking, and out-of-the-box interfaces to integrate leading third-party authentication or authorization systems (such as RSA SecurID and PAM). There is also an easy-to-use graphical user interface for configuring Tectia Server. Tectia Server is available for Unix and Windows platforms, such as Oracle Solaris, IBM AIX, HP-UX, SUSE and Red Hat Linux, and Microsoft Windows. On Unix platforms, the server license includes also Tectia Client that can be installed on the same host. Tectia Server offers all Secure Shell server functionality, including secure terminal, SFTP, and tunneling. When Tectia ConnectSecure is acting as the counterpart, Tectia Server supports also the enhanced file transfer (EFT) features, such as streaming for fast transfer of large files. Tectia Server for Linux on IBM System z has been designed for Linux running on IBM System z platforms. It provides the same services as Tectia Server on Unix plus it supports hardware acceleration of encryption operations. Tectia Server for Linux on IBM System z contains also the client-side components that provide the basic Secure Shell client features and tools. Tectia Server for IBM z/OS has been designed for z/OS platforms running on IBM mainframes. It provides the same services as Tectia Server on Unix and contains also client tools that support FTP-SFTP conversion, transparent FTP tunneling, and enhanced file transfer (EFT) features.